Home / Other Political News, Politics / Respect your age Mzee! 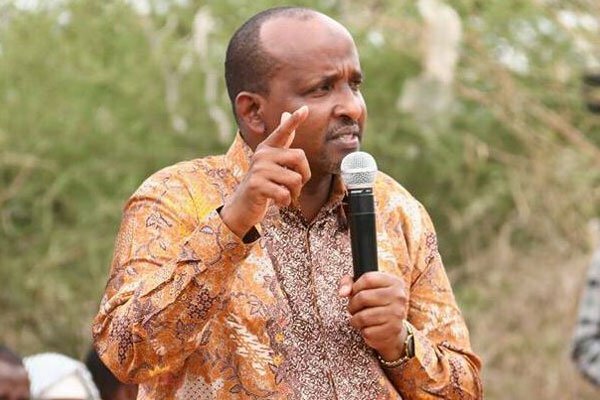 - ADEN DUALE tells ATWOLI after claiming that RUTO will not be in the presidential ballot in 2022 – Is he planning to assassinate him? Respect your age Mzee! - ADEN DUALE tells ATWOLI after claiming that RUTO will not be in the presidential ballot in 2022 – Is he planning to assassinate him? Sunday April 14, 2019-Sentiments by the Central Organisation of Trade Unions (COTU) Secretary General Francis Atwoli that Deputy President William Ruto's name will not be on the ballot come 2022 have not gone down well with a section of Jubilee party leaders. Speaking on Saturday,Leader of Majority in Parliament , Aden Duale, questioned Atwoli's state of mind and wondered what he could be planning to do to stop Ruto from vying. Duale, who is also Garissa Town lawmaker, asked Atwoli to come clean on what he meant. "Atwoli is the age of my father. I will not insult him since that is not how I was raised. Respect your age! He (Atwoli) spews verbal diarrhea that leaves even a three-year-old wonder. Be your age. Stop embarrassing yourself," Duale tweeted. Speaking in Lamu on Saturday, Atwoli said current DP's name would not appear in any of the ballot papers, claiming his words were not tongue in cheek utterances but a signal from the creator of heaven and earth.